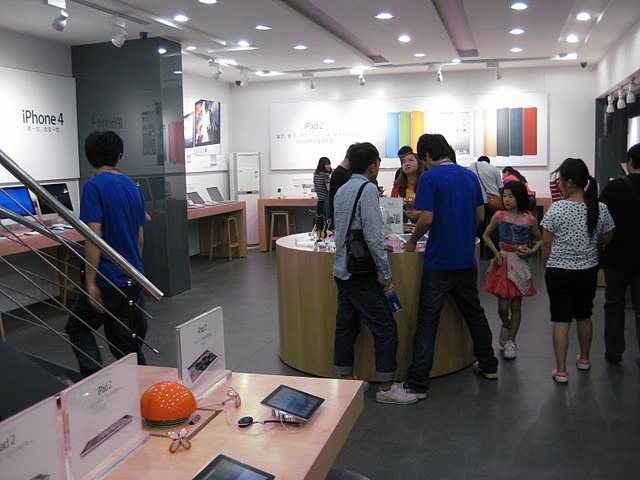 iP3: China not only fakes iPhones… but Apple Stores, too! 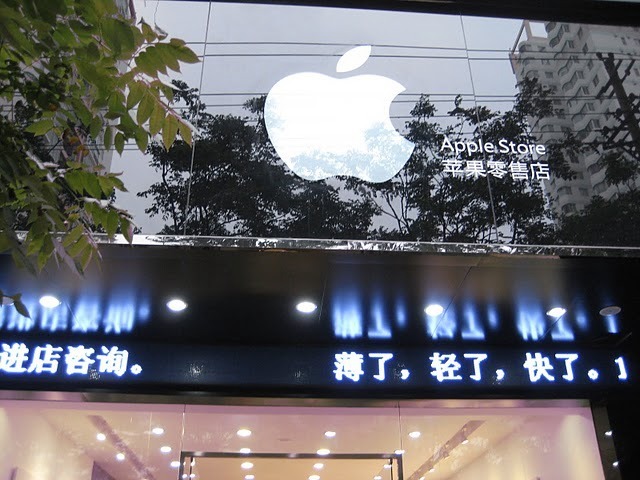 China not only fakes iPhones… but Apple Stores, too! China might be known as the home of the fake iPhone, but what about whole stores? Surprising almost no one, China is indeed home to the fake Apple Store. These pictures from BirdAbroad (via IFOAppleStore), show a fake Apple Store complete with everything that a real Apple Store offers. Right down to the blue shirts with Apple logos and name labels for the employees. Starting from the top, this ‘Apple Store’ features a shiny exterior with a big glowing, white Apple front and center. When you walk into the store, you will be stepping on wood or grey stone floors, depending on the section of the store, and will be surrounded by a showroom filled with iPads, Macs, and more… all on wooden tables. These tables are even equipped with the Apple (patented!) product holders. In fact, these tables are nearly identical, if not identical, to the tables used in Apple’s official stores. These stores went as far as to completely rip off Apple’s official press images – as you can see with the iPad 2 and iPod shuffle banners. Also notice the extremely outdated pink iPod posters. 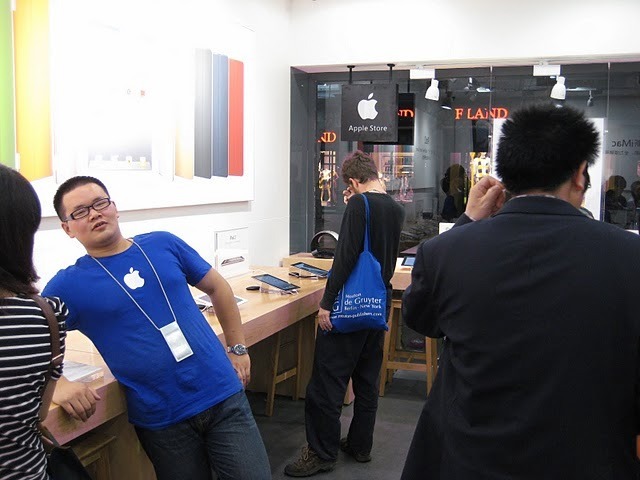 The “bosses” of this fake Apple Store, in Kunming, knowing that they are up to no good, informed their multiple plain clothed security guards to ban all picture taking. The best part is that there are three of these stores all within walking distance of each other. Check out some more pictures after the break that are courtesy of BirdAbroad.